High quality computing at Ladywood aims to equip children with the skills to access an ever changing digital world. The core of computing is computer science in which children are taught the principles of how digital systems work and to use through programming. Computing ensures that pupils become computer literate and are able to develop their ideas and express themselves through information and communication technology. · Can understand and apply the key skill and concepts of computer science. · Can analyse problems in computing terms and have repeated practical experience of writing computing programs in order to solve such problems. Computing at Ladywood primary is taught as a subject in its own right. Each class dedicates every afternoon for one week each half term to the teaching of computing skills. Throughout school children are encouraged to engage with communication technology to support their learning including; iPads, smart TVs, laptops and green screen equipment. All classes revisit the topic of keeping safe on the internet within each half term, this is also enhanced during health and fitness week where every class recaps E-Safety at home and in school. With the announcement of the 2014 National Curriculum, a new revamped computing was introduced. Therefore year groups are currently flexible in the objectives they are concentrating on as not all computing skills are currently embedded. Each class has 6 units of work to complete during the academic year. In the autumn term children will develop an understanding of how to program a toy and use a camera to capture moving images. In the spring term children will use tools to create images on the computer and talk about how to use the internet safely. 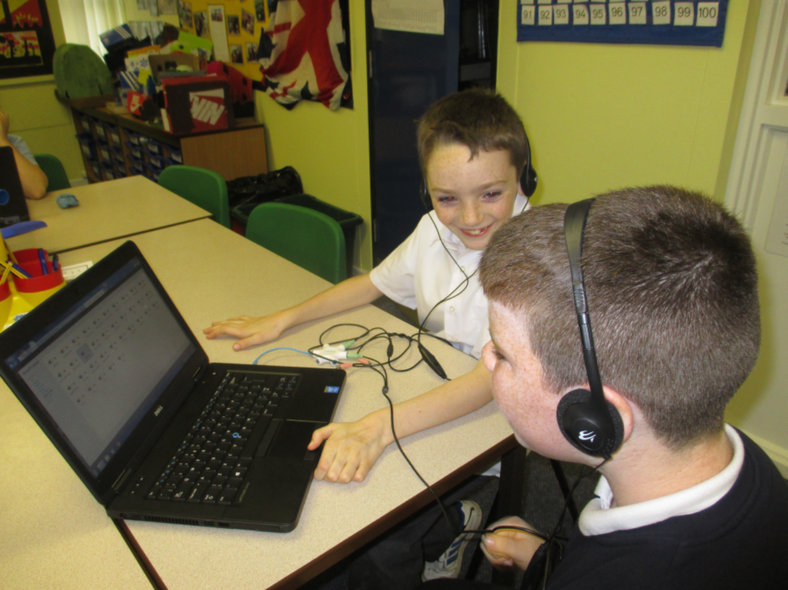 In the summer term children will use sound recording equipment to record sounds and develop keyboard and mouse skills as well as saving and retrieving files. In the autumn term children will begin to understand algorithms and describe what happens in computer games. In the spring term children will take digital photographs and develop research ad presentation skills. In the summer term children will learn to send an email and present data using simple soft wear. In the autumn term children will create an animation and recognise a number of common types of bugs in software. In the spring term children will film and edit videos and investigate how computer networks work. In the summer term children will send emails and collect and analyse data. In the autumn term children in year 4 will develop a computer game using and a computer controlled toy. In the spring term Children will create, develop and edit a musical composition and children begin to understand technical aspects of how the internet works. In the summer term children will practice research skill and use computer based dater logging to record information. In the autumn term children in year 5 will design and create a computer game and become familiar with semaphore and Morse code. In the spring term children will create computer based art work and develop research skills. In the summer term children will become familiar with blogs and think about how architects, designers and engineers use 3D virtual environments. In the autumn term children in year 6 will develop an awareness of smartphones and tablets and work together to develop an app. In the spring term they will present a potential market for their app and begin to design it. In the summer term children will write codes for their app and create a brochure to market it. You can help children at home by encouraging children to operate devises correctly including; video recorded, iPads, radio telephones, cameras, remote control toys, email, CD and DVD players. When using the internet encourage children to stay safe and follow E-safety guidelines at home. The children will be able to tell you about e-safety rules that we have in school.